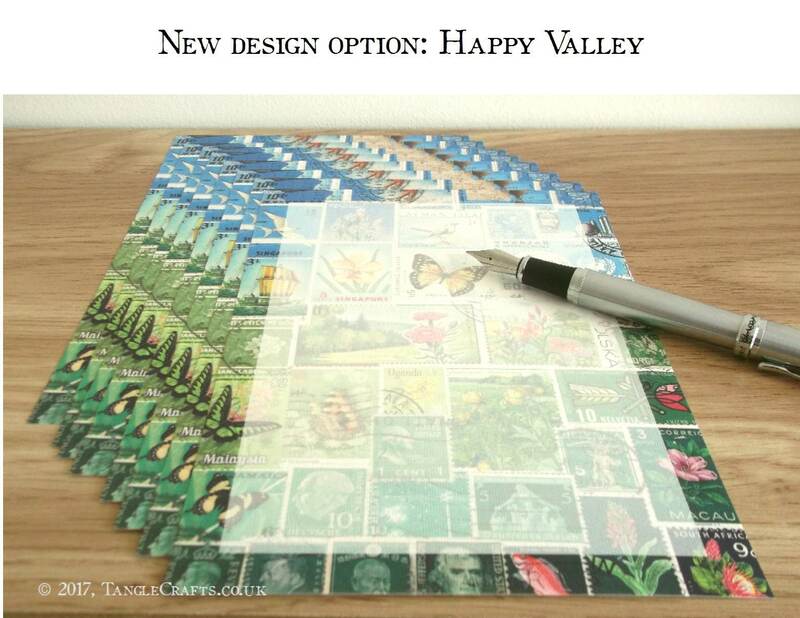 Choose your own mix of postage stamp design note paper! The design covers the full surface area of each A5 sheet but fades into the background of the main writing space so that your correspondence is easily legible. 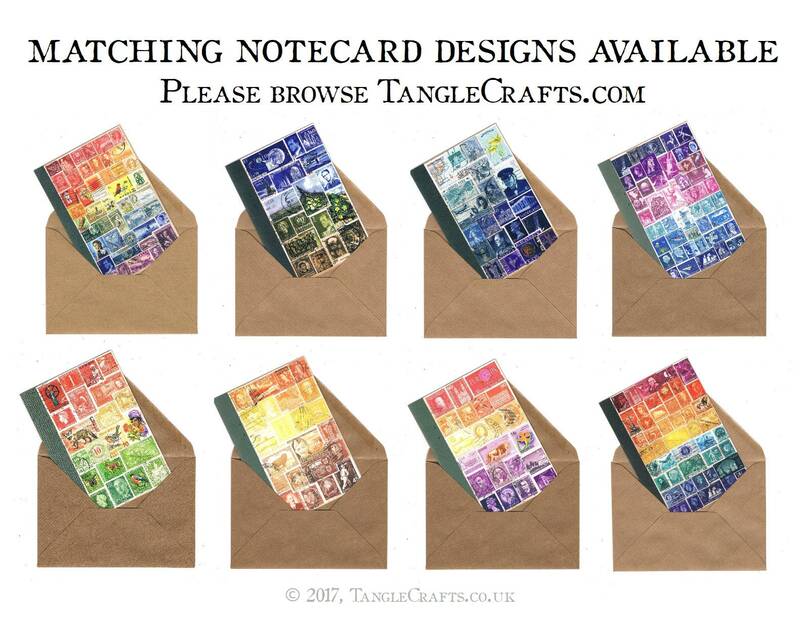 Each design is reproduced from one of my original collages of vintage postage stamps from around the world - an homage to handwritten communication from time past, and the perfect postal-themed background for all your snail mail letters, present & future! 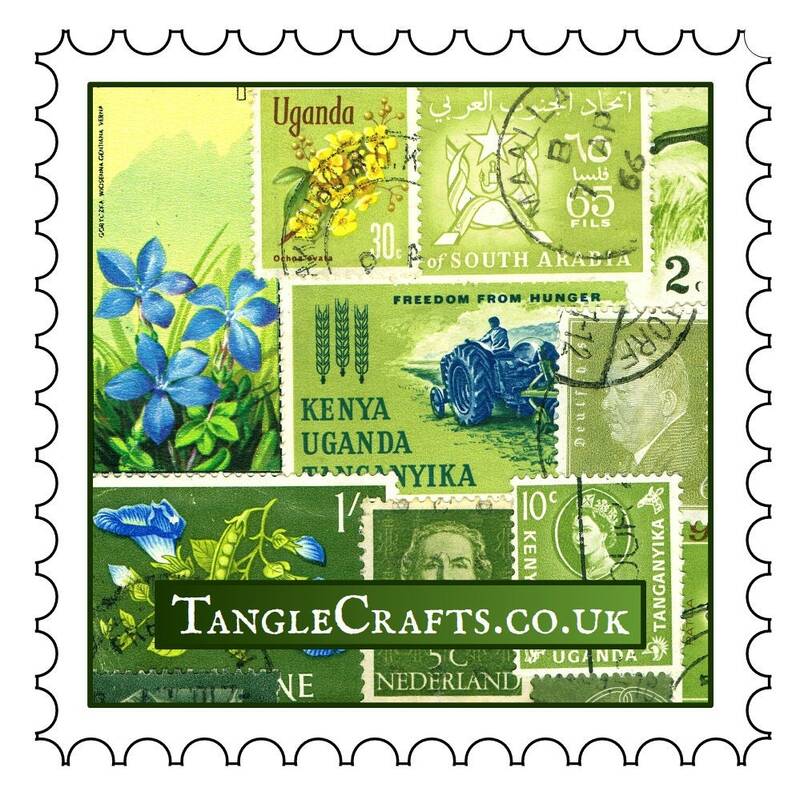 The designs are nicely non-specific, suitable for many different recipients & occasions. - See pics 1 & 2 for full range of designs available. 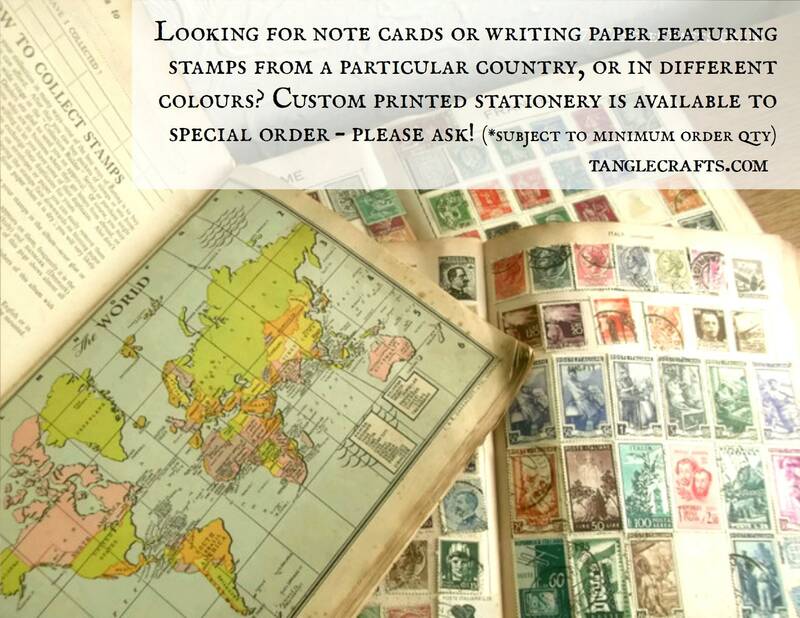 - Choose 2 or 4 different notepaper designs per set. 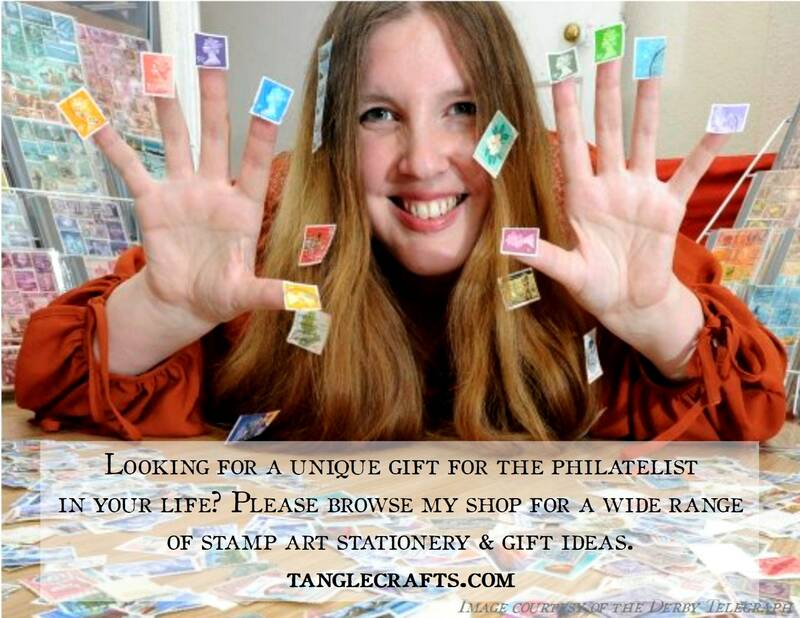 - Leave a short note at checkout with your choice of designs. - If you just can't decide, select a SAMPLE MIX from the drop-down list. 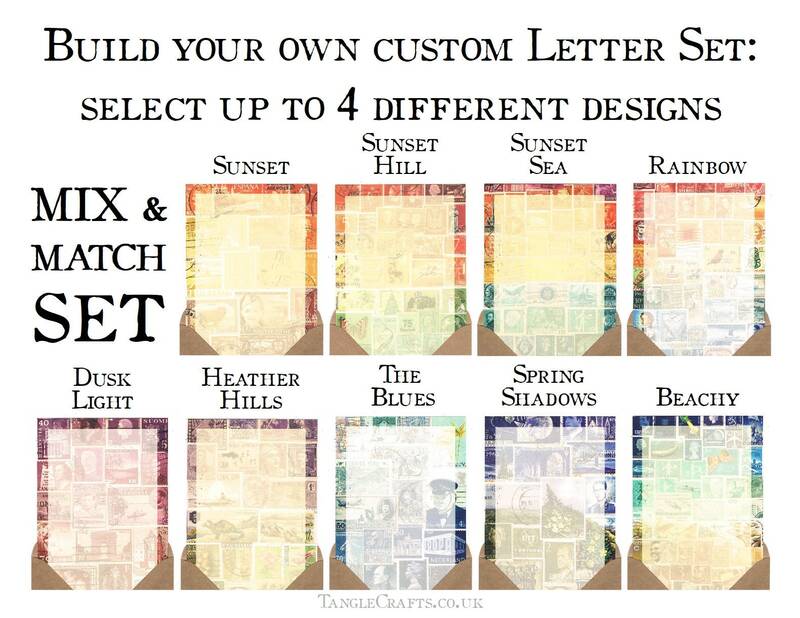 - Your Sampler set will include a mix of 4-8 different designs (exact combination & qty per design will vary per set). 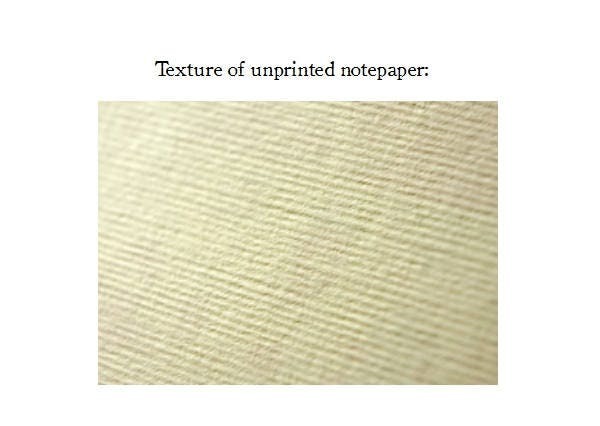 The sheets of writing paper are a luxurious, heavy weight (160gsm), thick & creamy 'acquerello' with a finely ridged but fountain pen friendly texture - beautiful to write on! Design is printed on one side only of A5 sheets (14.8 x 21cm = 5.8" x 8.3"). Ribbed kraft envelopes are included: C6 size, which perfectly fits the notepaper (folded once) and/or notecard. You will receive 1 envelope for every 2 sheets of paper. 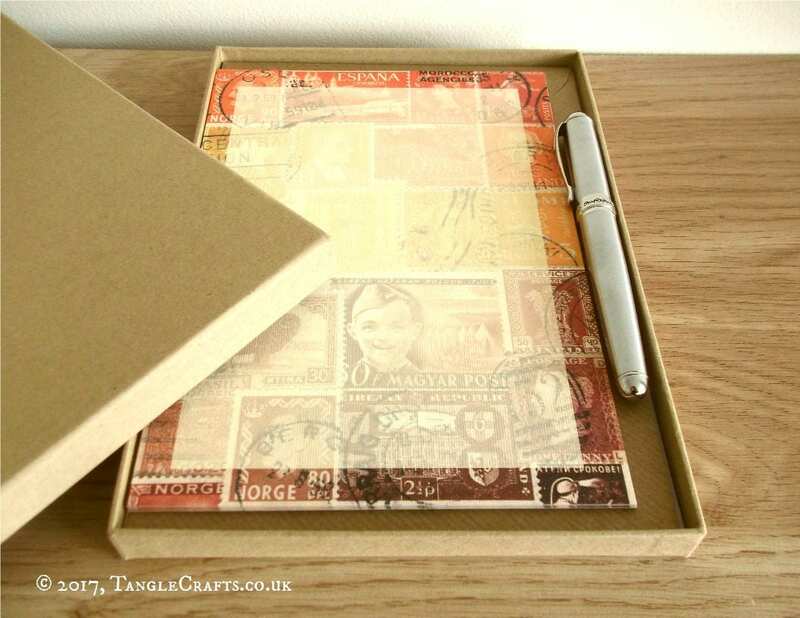 Each set of writing paper comes neatly packaged in a sturdy kraft-covered box with lift-off lid - measures 22.8cm x 16.5cm x 1.7cm deep (approx. 9" x 6.5" x 0.7" deep). Box is tied shut with jute twine to complete that traditional parcel effect. 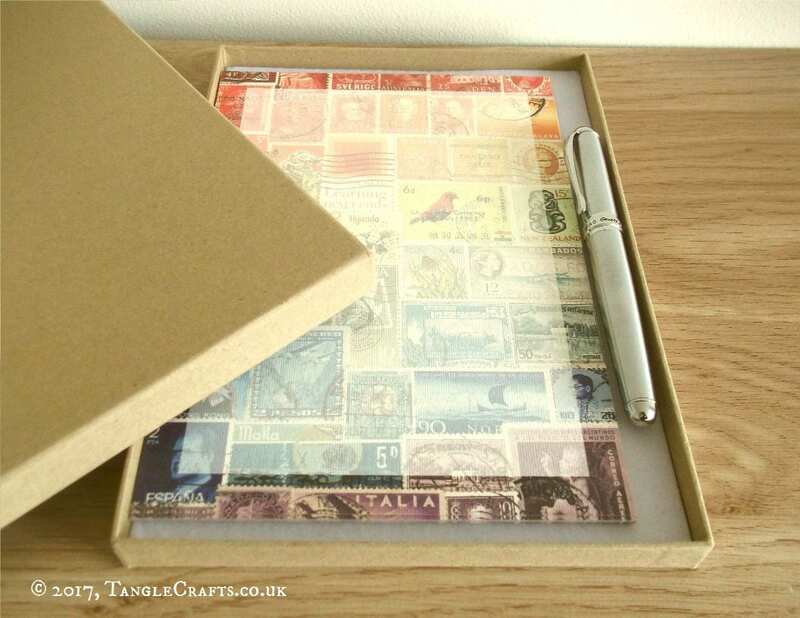 Great for gift-giving and can be re-used for storage afterwards! Gift Set also includes Fountain Pen. 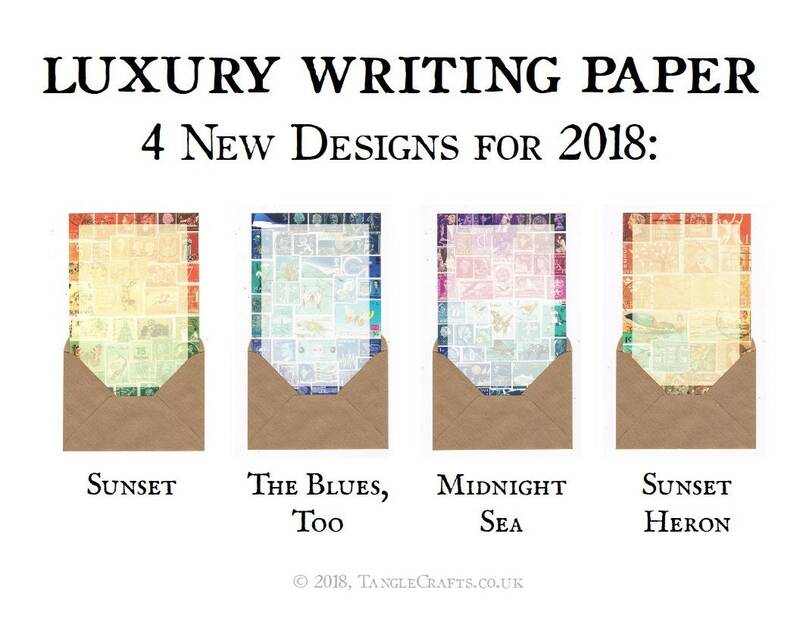 Sitting down to write a letter is an especially luxurious experience with good paper and a fountain pen! This silver-tone metal pen has brushed/matt body & shiny detailing (tips, clip etc) - measures approx. 14cm (5.5 inches) with cap closed, or 16cm with cap posted on end. It has a smooth-writing, medium (0.5mm) stainless steel, iraurita-tipped nib. Comes fitted with a removable ink converter to use with bottled inks. However, it also takes standard international ink cartridges. beautiful, as described, and shipped quickly!